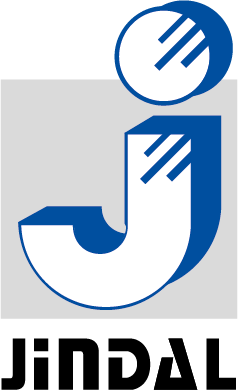 Jindal SAW manufactures SAW Pipes (Submerged Arc Welded Pipes) and spiral pipes for the energy transportation sector; carbon, alloy and seamless pipes and tubes for industrial applications; and Ductile Iron (DI) pipes & Fittings for water and wastewater transportation. 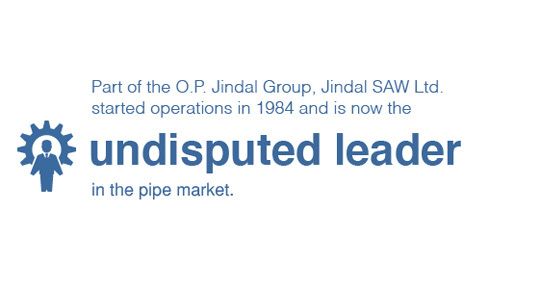 Jindal SAW pipes are energy-efficient, reduce dependence on fossil fuels, and help conserve natural resources. We are a leading global manufacturer and supplier of Iron & Steel pipe products, fittings and accessories with manufacturing facilities in India, USA, Europe and UAE (MENA). Our customers include world’s leading oil and gas companies, engineering companies and authorities dealing in irrigation and water resources engaged in construction of oil and gas exploration, transportation, power generation, supply of water for drinking and irrigation purposes and other industrial applications. Our mission is to match the expectation of our customers through product development, quality manufacturing and supply chain management. We have robust systems developed for overall excellence and management to support our customers globally. We have a unique business model well diversified in terms of strategic locations, markets, products, industries and customers. This business model is built to hedge the organization against various risks which allows us to operate and perform well in difficult economic and geopolitical circumstances. Our domestic and exports markets are well balanced and our businesses operate through four strategic business divisions including SAW Pipes, DI Pipes & Fittings, Seamless Pipes & Tubes and Mining & Pellets.